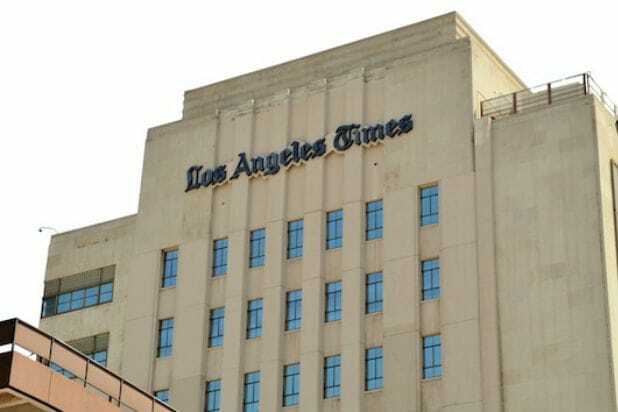 Former columnist T.J. Simers has won a $7.1 million lawsuit against the Los Angeles Times after he claimed the paper forced him out due to his age and a disability. A Los Angeles Superior Court jury made the decision following two days of deliberation after a six week trial in the case brought by 65-year-old Simers against his ex-employers. Simers, who was a prominent columnist for the paper’s sports section, said he had been discriminated against due to his age and because he suffered a minor stroke in Phoenix while covering the Dodgers’ and Anaheim Angels’ spring training. Simers worked at the Los Angeles Times from 1990 to 2013, before taking a job at the Orange County Register, but took a buyout in 2014. He made $234,000 a year at the Times and then $190,000, according to legal documents. He filed the lawsuit against the Times two years ago, claiming it pulled the plug on his lengthy career after he was diagnosed with complex migraine syndrome, a “serious disability” that the Times used as an excuse to make working conditions miserable, putting his writing under increased scrutiny, cutting his columns from three to two a week and then exiling him to the assignment desk as a blogger, according to the claim. Simers also said that the newspaper lined up a columnist who was roughly half his age, Dylan Hernandez, a Dodgers beat writer for the Times, according to the Courthouse News Service. However, the Times editors say that they started a review of the veteran columnist’s work after he reported on a video featuring his daughter and former Los Angeles Lakers player Dwight Howard, which they say he was promoting to use as a pitch for a TV show he wanted to launch.